YAM-CRAN SALAD – Pretty, Fast, & Easy! Sometimes I want just one more side dish for my holiday meal. The problem is time management. Everything needs to be done at the same time, but there is only so much time and oven availability to get things prepped and cooked. That’s why I often turn to YAM-CRAN SALAD. It’s fast to prepare, no oven is involved, and, with the exception of tossing in the walnuts, can be prepared the day before. Bonus: it’s very festive looking! BTW, I make this salad throughout the year – often as a last minute thought when I have a bag of yams I need to use up. I always have walnuts, dried cranberries, and dressing on hand. Boil yam cubes until you can pierce them with a fork. Be careful not to overcook! It takes about 5 minutes. Drain in a sieve and rinse with cold water to stop the cooking process. You want them bite-able (is that a word? ), but not crunchy nor mushy. 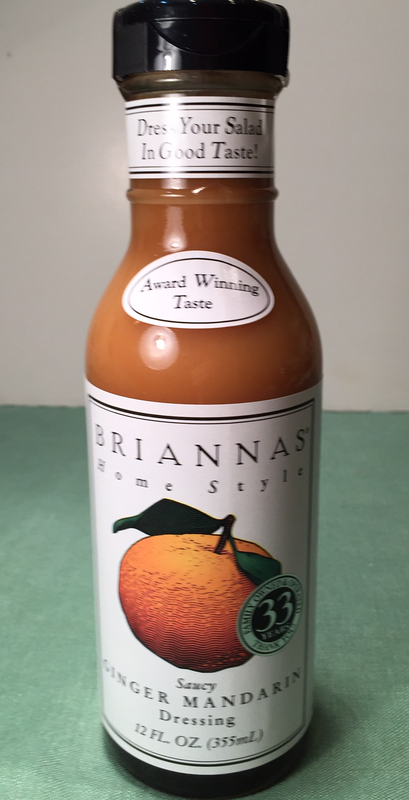 Mix together the yams, cranberries, and dressing. Refrigerate at least an hour. At serving time, stir in the walnuts. 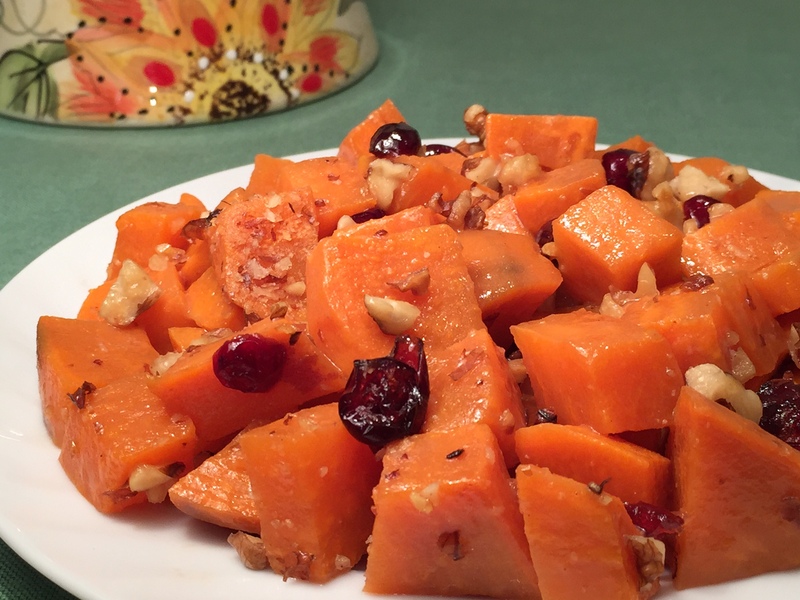 This entry was posted in Side Dishes and tagged Bonnie Antonini, cranberry yam salad, cranberry yam side dish, fast side dishes, Vegetarian Cooking For Carnivores. Bookmark the permalink. ← WILD RICE & MUSHROOM SOUP – Mmm Mmm Good!